One approach to multi-party socially assistive robotics involves a robot engaging in moderation, defined in this work as the task of controlling or directing a group interaction. Formally, we define moderation as the process by which a goal-directed multi-party interaction is regulated via assignment of interaction resources, including both physical resources, such as objects or tools, and social resources, such as the conversational floor or participants’ attention. A moderator is an agent whose primary role is to engage in behaviors that moderate the group interaction. In this work, we present a domain-independent computational model of moderation for multi-party human-machine interactions that enables a robot or virtual agent to act as a moderator in a group interaction. Although this work is generally applicable to embodied social agents, the focus of the evaluation is on a robot as the moderator, leveraging results from human-robot interaction (HRI) suggesting that physically embodied agents are more effective than virtual agents at affecting human behavior, as well as domain-specific research indicating that physically embodied interactions have benefits for task performance. Moderation is formalized as a decision-making problem with two types of goals: task goals, that relate to the main purpose of the interaction, and social goals, that govern how the interaction should proceed. This approach allows the development of robot control algorithms within this modeling framework, grounded in prior work in robotics, artificial intelligence, and most importantly symbolic planning, where a system uses symbolic reasoning to select a series of actions to achieve a goal, and probabilistic reasoning and planning, where uncertainty in sensing and actuation are taken into account when choosing agent behaviors. The algorithms are parameterized and tested using real-world human robot interaction. This work focuses on interactions with multiple goals: task goals relate to what the group is trying to accomplish, and social goals define how the task should be accomplished. Because this work focuses on moderation in goal-directed interactions, the model is evaluated in the domain of socially assistive robotics (SAR). SAR is an area of research in which robots are deployed and studied in contexts where they leverage social interaction to enable users to achieve some challenging goal, typically in health-related or educational contexts. This area of research provides rich opportunities for goal-directed multi-party interactions, with a variety of ways in which interactions might be moderated. The approach is deployed and evaluated in a multi-party assembly game, group storytelling, and a intergenerational family-based interaction including older adults, related adults, and related children (in most cases, groups consist of grandparents, parents, and children). We find that a robot moderator whose control is based on our model is accepted into these groups and can have a positive effect on interactions, including fostering positive socialization, improving group cohesion and increasing speech. Elaine Short is a sixth-year PhD candidate at the Interaction Lab, run by Prof. Maja Matarić in the Department of Computer Science at the University of Southern California (USC). She received her MS in Computer Science from USC in 2012 and her BS in Computer Science from Yale University in 2010. 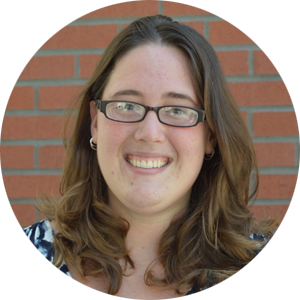 Elaine is a recipient of a National Science Foundation Graduate Research Fellowship, USC Provost’s Fellowship, and a Google Anita Borg Scholarship. At USC, she has been recognized for excellence in research, service, and teaching: she was awarded the Viterbi School of Engineering Merit Award and the Women in Science and Engineering (WiSE) Merit Award for Current Doctoral Students, as well as the Service Award, Best Teaching Assistant Award, and the Best Research Assistant Award from the Department of Computer Science. At Yale she was the recipient of the Saybrook College Mary Casner Prize. Throughout her career, she has been involved in efforts to recruit and retain women and underrepresented minorities in the field of computer science, including supervising undergraduate and high-school level research assistants and co-founding a social group for women PhD students in computing. Elaine’s research is in the growing field of Socially Assistive Robotics, which develops robots that help people achieve health-, wellness-, and education-related goals through human-robot interactions. Her research focuses on applying the principles of Socially Assistive Robotics to multi-party interactions by developing algorithms and approaches that enable autonomous robots to moderate multi-party interactions. By treating both social and physical aspects of the interaction as resources that the robot moderator must allocate, her work provides a framework for developing control algorithms in diverse domains that allow a robot moderator to assist groups of people in achieving both task-related goals and goals related to the dynamics of the interaction and roles of the participants. Elaine has worked with diverse end-user populations, from children to older adults, on a variety of research projects. She has developed a semi-autonomous socially assistive robotic system to teach first grade students about nutrition and performed data analysis exploring the role of agency for a socially assistive robot in open-ended interactions with children with autism. She has also co-developed a robot to coach older adults in the chronic phase of post-stroke rehabilitation through a button-pressing rehabilitation task. Elaine is currently working on modeling inter-generational interactions between older adults and both adult and child family members, and developing algorithms for supporting group cohesion while assisting a group in an assembly task. This work has included collaborations with researchers across disciplines and institutions, notably as part of the large, multi-institution Robots for Kids NSF Expeditions in Computing project. She plans to defend her PhD dissertation, “Robot as Moderator: Managing Multi-Party Social Dynamics for Socially Assistive Robotics”, in spring of 2017.